This festive 'amuse-bouche' is thudding onto doormats throughout the UK. Free to Stannah stairlift users, it's geared to inform and entertain. Judging by the feedback from previous issues, it'll go down a treat! 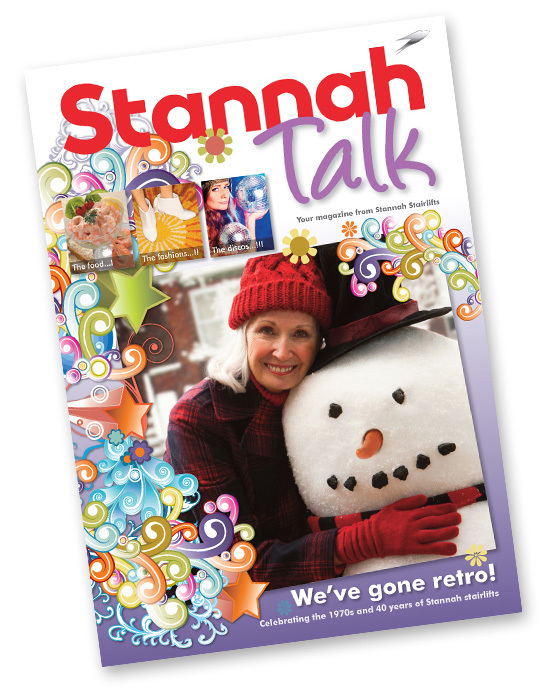 "bandv is a great creative partner for us on StannahTalk and make the whole process of producing a quality customer magazine that is welcomed by our clients a really easy, enjoyable process. They understand what interests our customers and we are happy for them to take the lead on this project knowing they will deliver first class output." Oh, and here's our Christmas gift to you - a FREE inbound marketing assessment. What better way to grow your business in 2015. Let's talk!